Real Madrid got their La Liga campaign off to a winning start with a 2-0 victory at home to Getafe on Sunday in their first league outing since the summer departures of Cristiano Ronaldo and coach Zinedine Zidane. 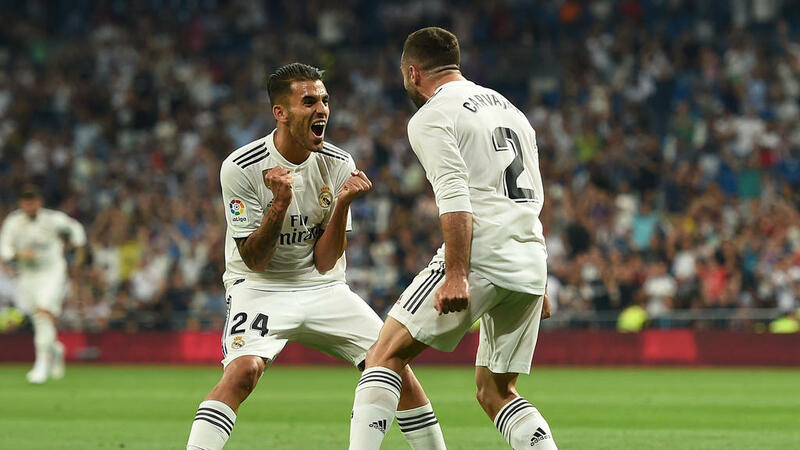 The European champions ensured the three points at the Santiago Bernabeu with a 20th-minute goal from Dani Carvajal and a Gareth Bale strike on 51 minutes. Keylor Navas held on to his place as Real Madrid's starting goalkeeper despite the arrival of Thibaut Courtois. Costa Rica international Navas has been first choice since 2015 but had been expected to make way for Courtois, a recent 35-million-euro recruit from Chelsea who was voted best goalkeeper at this summer's World Cup. Julen Lopetegui, who replaced Zidane as coach, also selected Nacho at the heart of the defence rather than French World Cup winner Raphael Varane. Real, playing their first La Liga game since the departure of Ronaldo to Juventus, went into Sunday's game on the back of a 4-2 defeat to Atletico Madrid in the UEFA Supercup in midweek. But they were rarely in trouble on Sunday. Bale was unlucky when a diving header came back off the crossbar in the first half before the Welshman was key in the build-up to the first goal with Carvajal heading in his cross. Another defensive error helped Real grab their second goal when Marco Asensio stole the ball and sent over a cross for Bale to score with his left foot. Asensio was close to getting his name on the scoresheet but was denied by the woodwork. Meanwhile, Portuguese striker Andre Silva marked his La Liga debut with a hat-trick as Sevilla romped to a 4-1 win at Rayo Vallecano, surpassing his total of goals scored for AC Milan in the whole of last season's Serie A.
Silva had managed just two goals for the Serie A giants and was loaned out to Sevilla this summer. Franco "Mudo" Vazquez opened the scoring with a backheel in the 15th minute before Silva bagged his first just after the half hour mark. The 22-year-old added his second in first-half stoppage time after a corner and completed his hat-trick 10 minutes from time. However, he endured a nervous wait before he could celebrate, requiring the VAR to overturn an offside decision which had ruled out Silva's effort. It was the first time in La Liga history that the VAR had made such an intervention. The system was called upon again in the last minute when Adrian Embarba converted a penalty for Rayo after the referee had initially whistled for a free-kick outside the box.